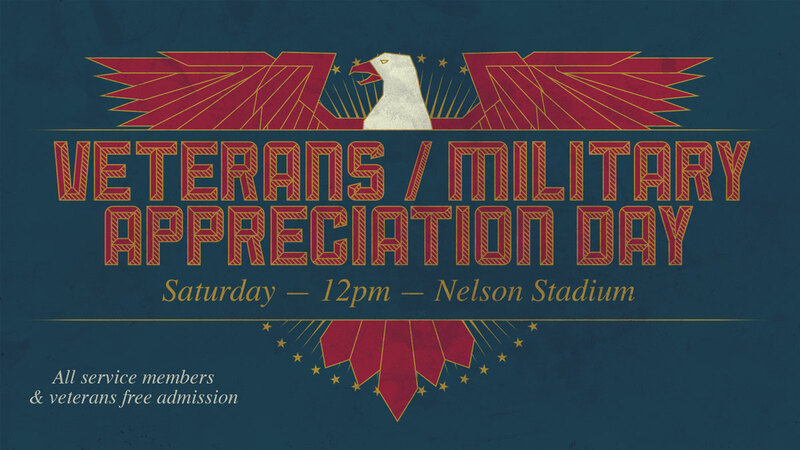 In honor of Veterans Day, Carroll College will be hosting a “Military Appreciation Game” on November 10, 2018 at its final football game of the season. All veterans and active duty military with I.D. will receive free admission to Carroll’s 12 p.m. football game against Eastern Oregon University. In addition, there will be a halftime Army Swear-In Ceremony for new Army enlistees who will take their Oath of Enlistment on the football field in front of family and friends. On this Veterans Day, let us be reminded of the service and sacrifices of our nation’s veterans and their families. Let us put aside our differences and unite in our commitment to fulfill the obligations and promises we made to them, and honor their service through compassion, respect for one another, and peace. On behalf of the entire Carroll College community, we thank you and honor you today and always. Carroll College is committed to providing our veterans and military families with the support, guidance and financial assistance necessary to obtain an education at Carroll College. It is because of this commitment to our veterans that U.S. News and World Report has ranked Carroll as the Best Regional College in the West For Veterans for four years in a row. Carroll College has a long history serving military members beginning in 1943 when Carroll participated in the U.S. Navy’s V-12 program. The principal initiative Carroll currently has in place to assist veterans is the Yellow Ribbon Program which in accordance with the post 9/11-GI bill provides a tuition-free education to qualifying veterans. Carroll currently has 53 students receiving some form of VA educational benefits of which 26 are veterans. Of the total 53, 31 are participating in the Yellow Ribbon Program. In addition, Carroll has a full-time Director of Veteran Services on staff, Brandy Keely, who is committed to providing the support and resources needed to address the unique academic, financial, and social needs of veteran students. Brandy has served as an invaluable resource to our students and has earned numerous awards for her tireless work on behalf of veterans. Most recently, she received national recognition from Secretary of Veteran Affairs, Mr. Robert L. Wilkie, for the veteran-centric work she does through the Montana Joining Community Forces Coalition (JCFC). For more information regarding available services, contact Brandy Keely, Director of Veteran Services, at bkeely@carroll.edu or (406) 447-4550, or visit the Veterans Services website.